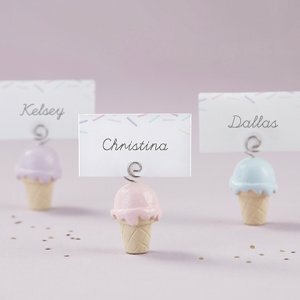 Add a scoop of color to table settings at your baby shower or bridal shower with Kate Aspen's Ice Cream Place Card Holders. 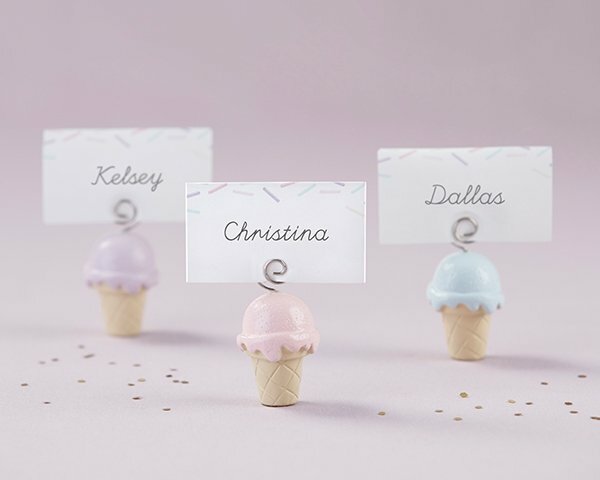 With place card holders this cute, who knew finding your seat could be even sweeter? Is there a template for the place cards. I don't want to handwrite the names and would love to use the ones included with the holders. I'm sorry we do not have a template for the place cards.